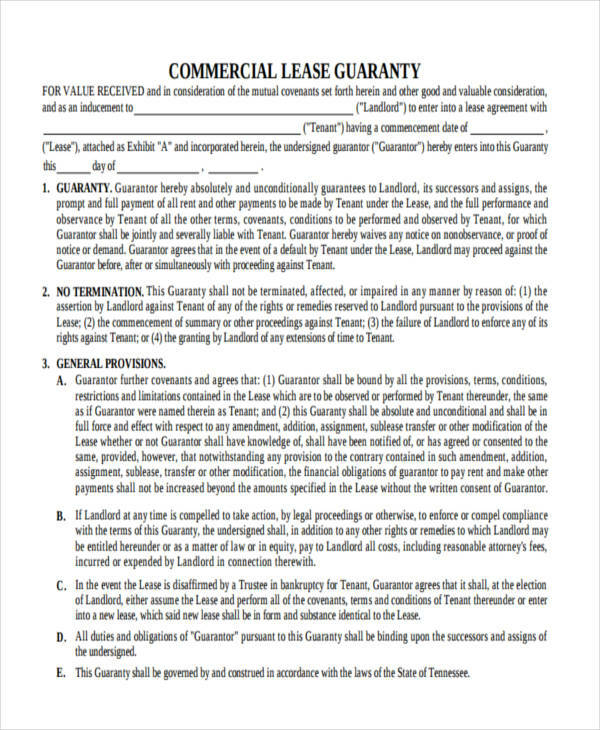 Commercial agreements are basically contracts or business agreements happening between two parties or entities where they mutually agree or accept to provide or do a set number of things. 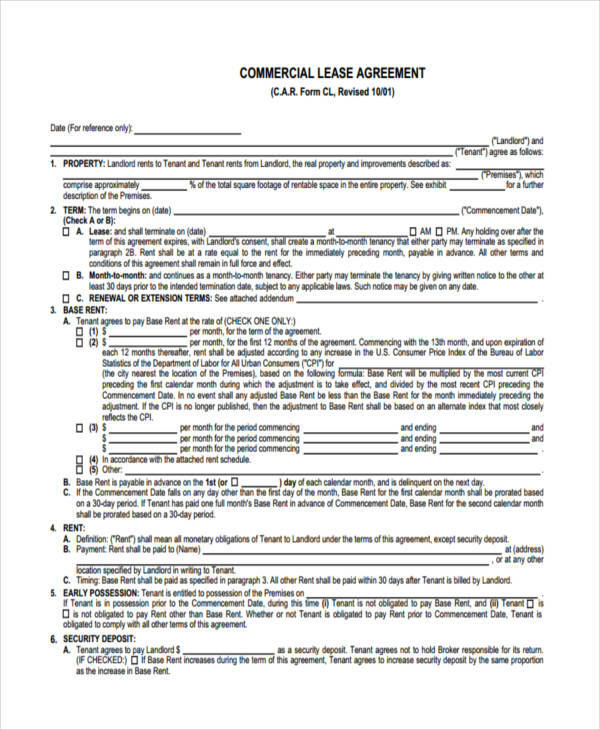 There are many types of business agreements or contracts that exist and can be found between the many different sectors of the business community which includes the retail, corporate, and industry sectors. 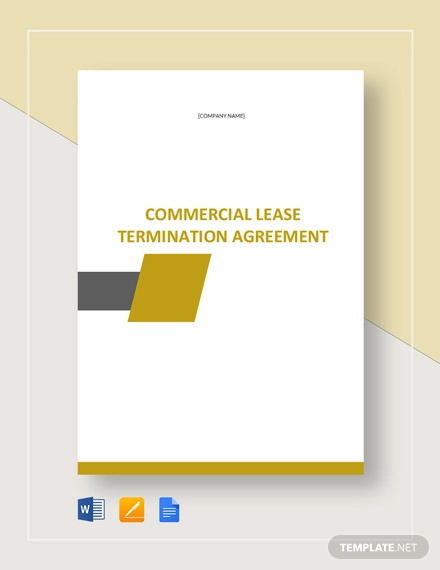 Examples shown on this page include commercial lease agreements, sublease agreements, fee agreements, agency agreements, loan agreements, occupancy agreements to name a few. 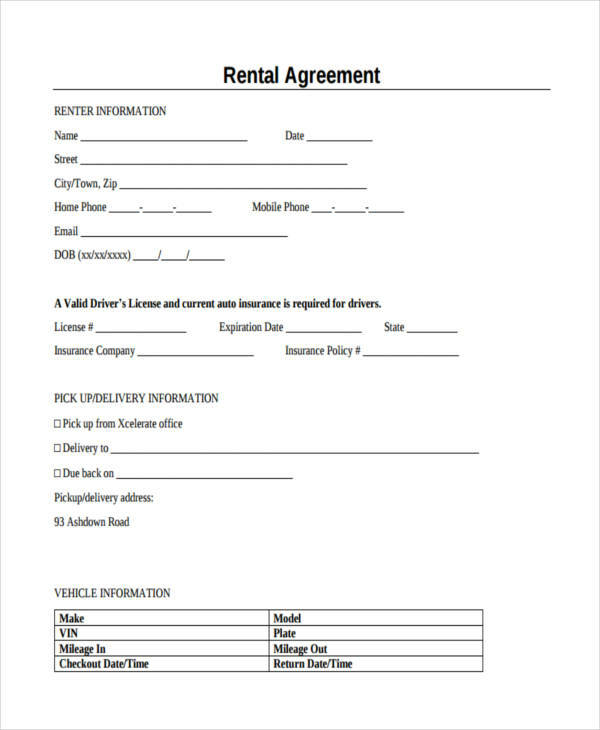 All of these are available for download. 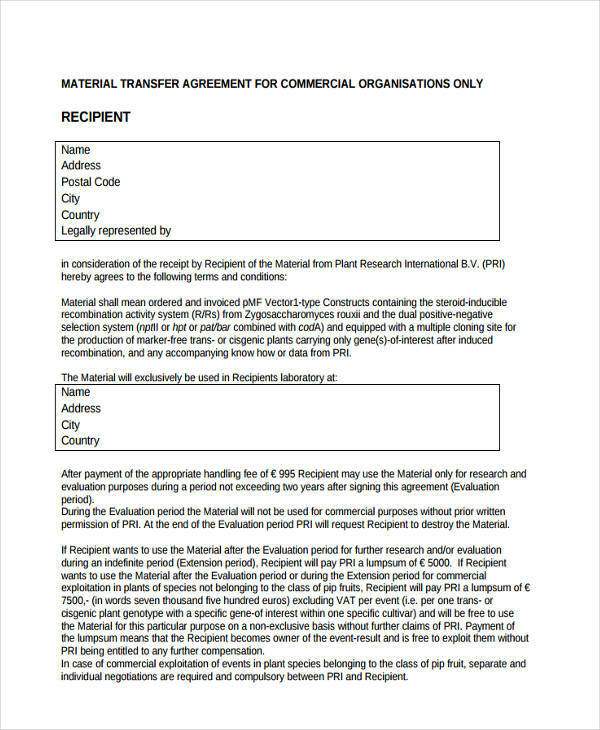 Just click on the download button to access the file you need. 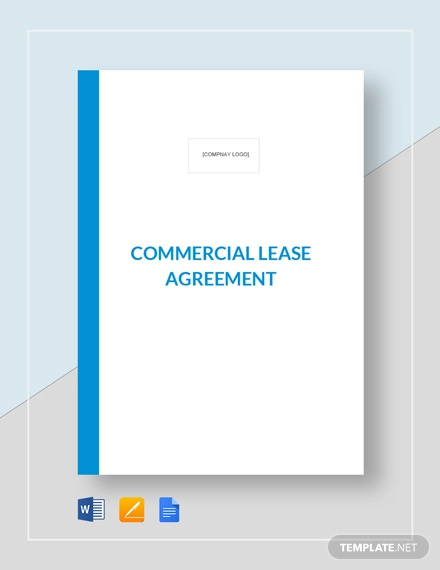 Commercial agreements are legally binding agreements between two parties (in most cases business entities) where they are bound or required to do or refrain from doing a set of particular things. 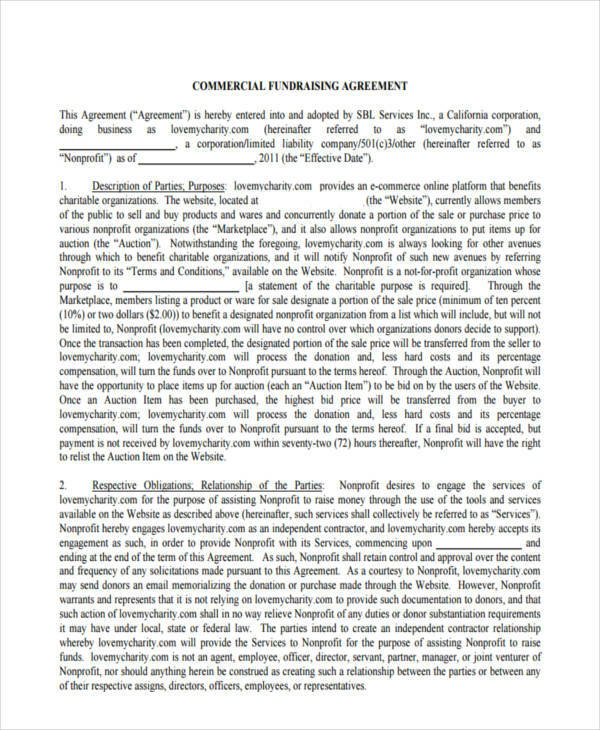 In simple terms, it is basically a contract or business agreement between two parties which may be done verbally, in written form, or implied in a formal or informal way. 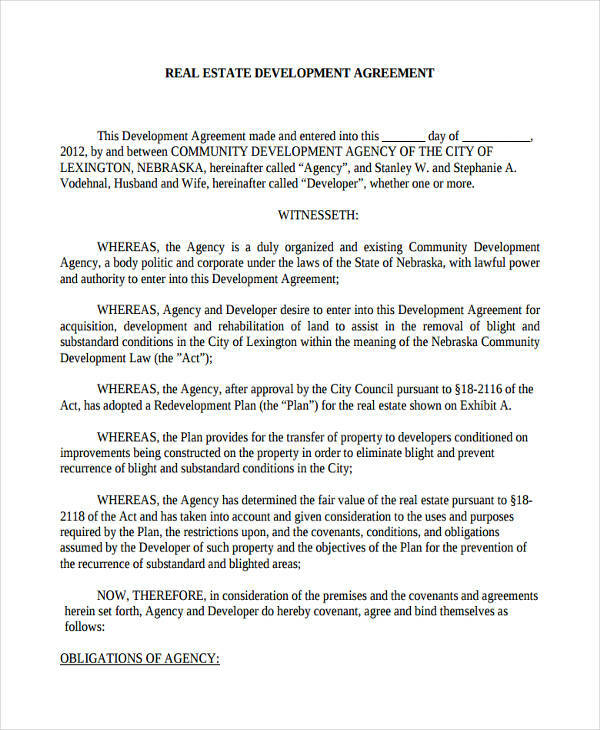 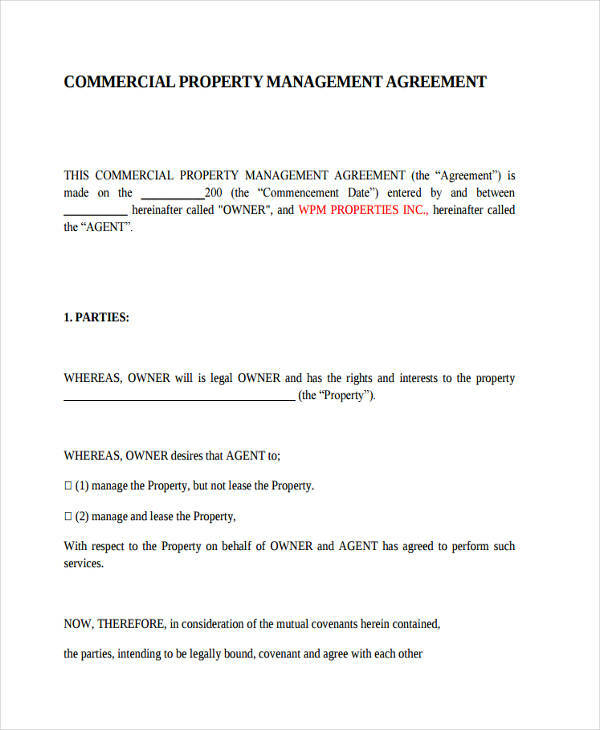 The property agreement examples shown on the page show agreements that are either for the lease of a property, management of a property, or development of a property. 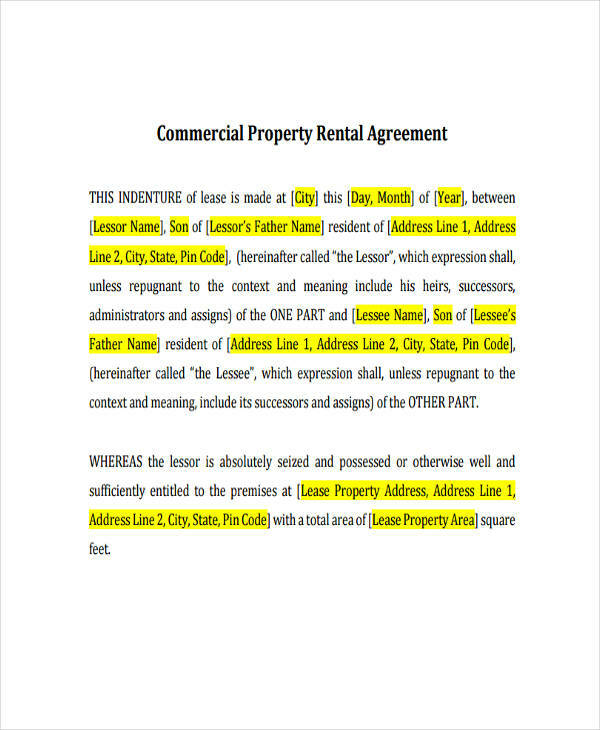 Such agreements are made between the property owner and another entity who wants to either rent, develop, or has a contract with the owner to manage the property. 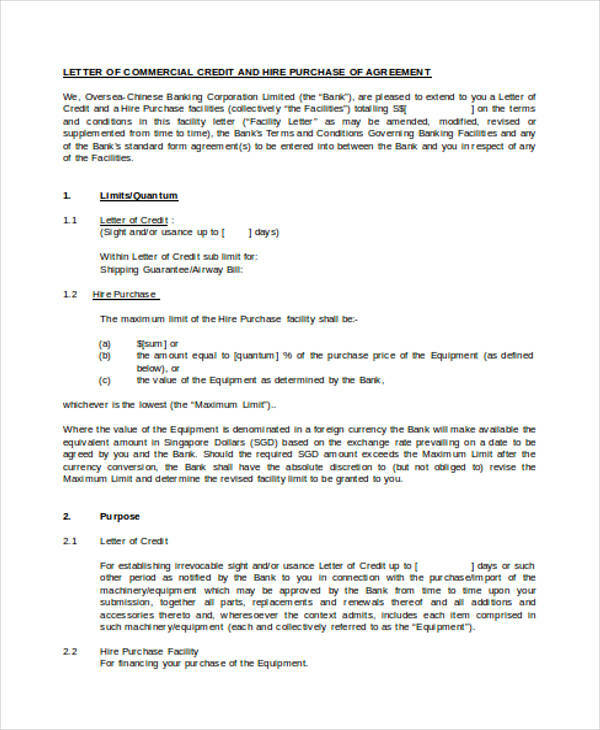 Marriage contract – This happens between a couple entering marriage. 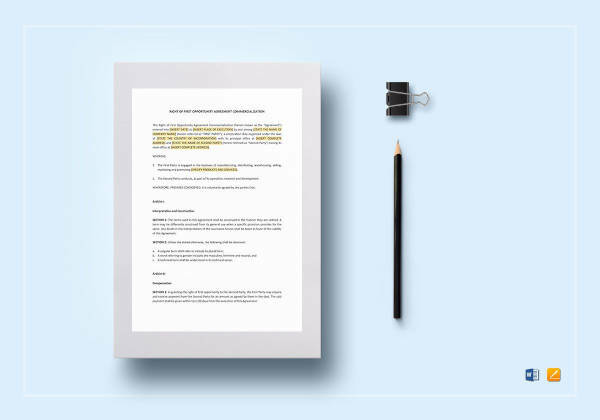 This is done for the purpose of defining the rights and responsibilities of each individual before the marriage, during their marriage, upon divorce or separation, and upon death. 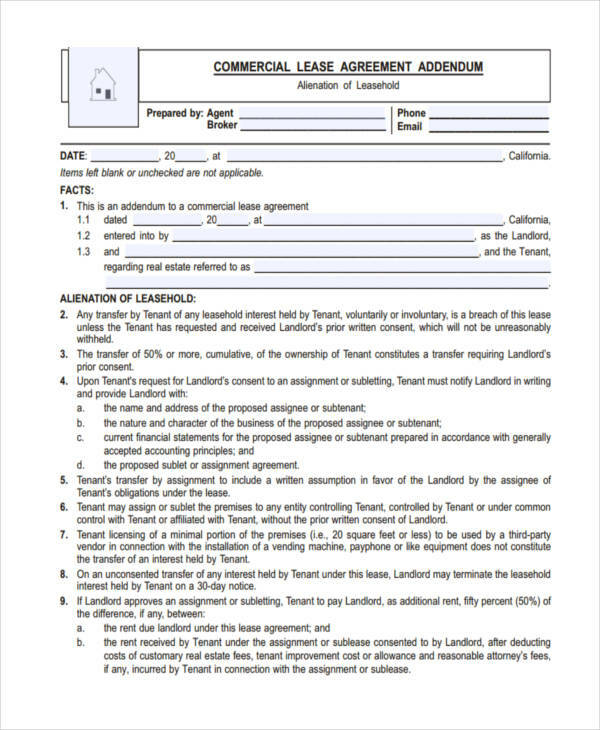 Included in such a contract are the division of property, support, and obligations. 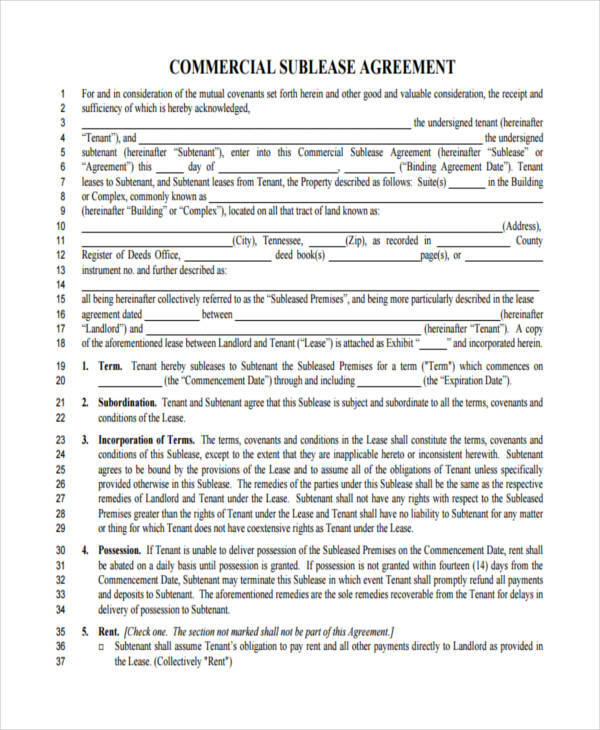 Cohabitation agreement – This type of agreement exist for couples who are living together but are not married. 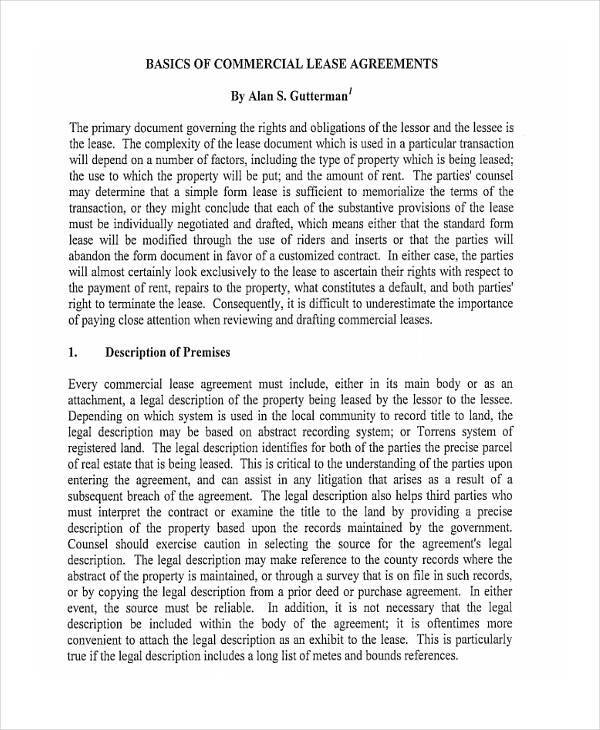 It also details the division of property, support, and obligations between both parties involved. 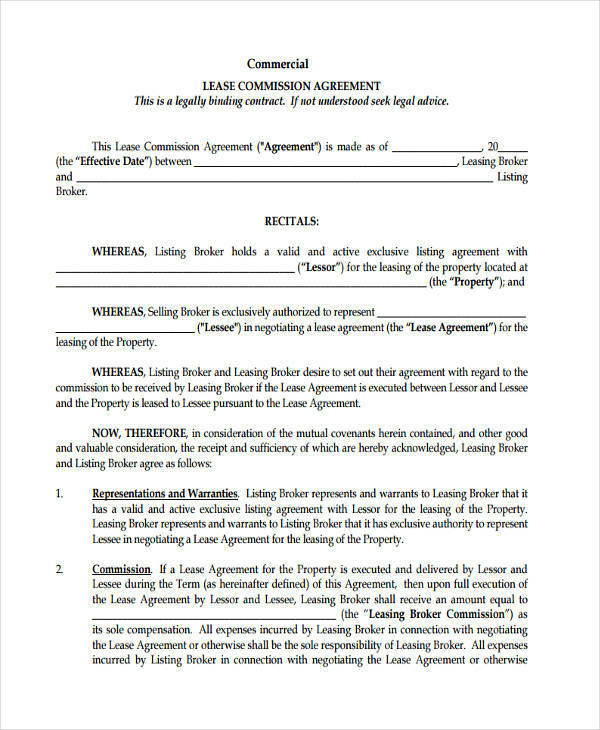 Separation agreement – Separation agreements are contracts that set the rights and obligations of each party upon the time of separation or when both parties decide to live separately. 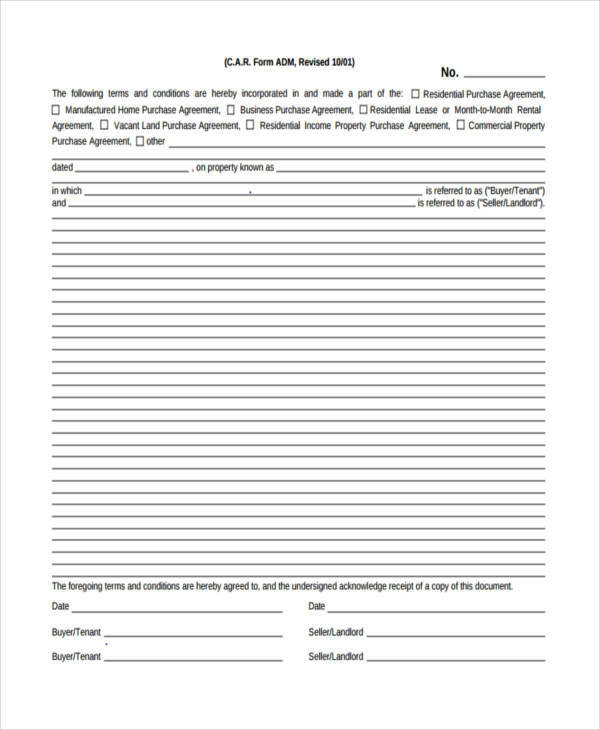 This would include the individual support obligations of the parties, child custody, the division of properties, and other matters in relation to the separation. 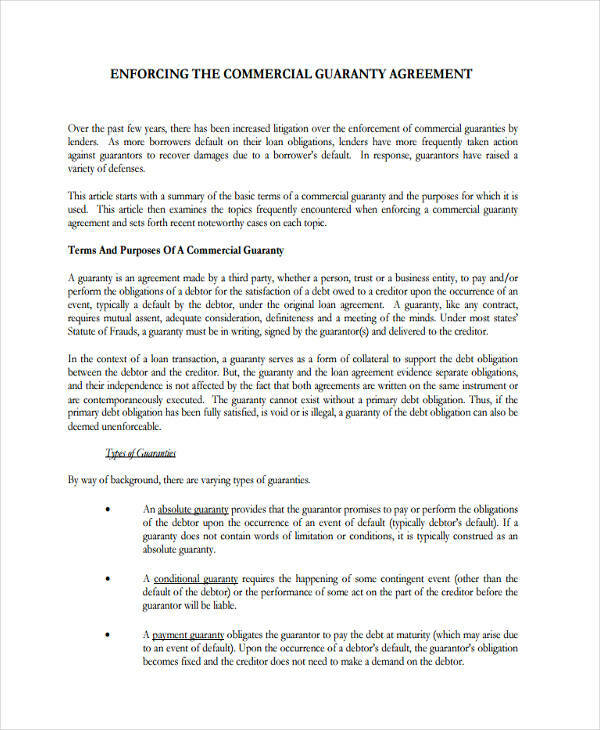 Agreement for the supply of material or goods and services – plainly the delivery of agreed upon goods or performance of work. 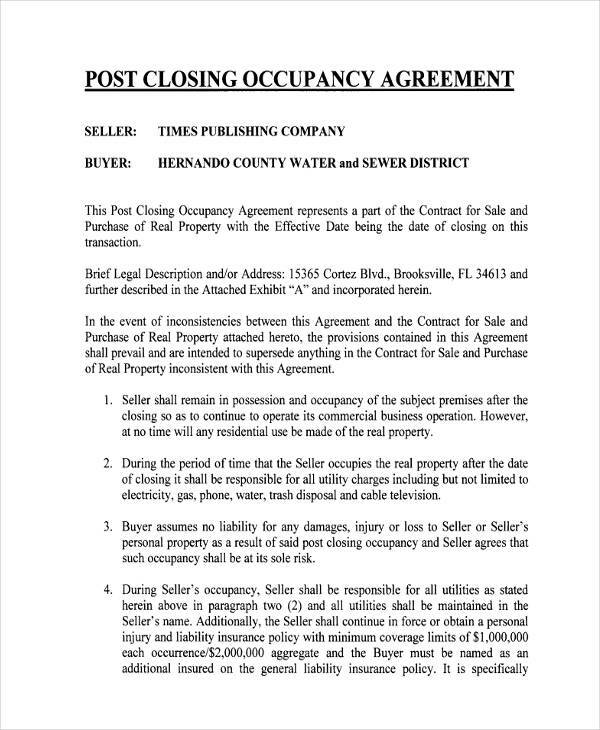 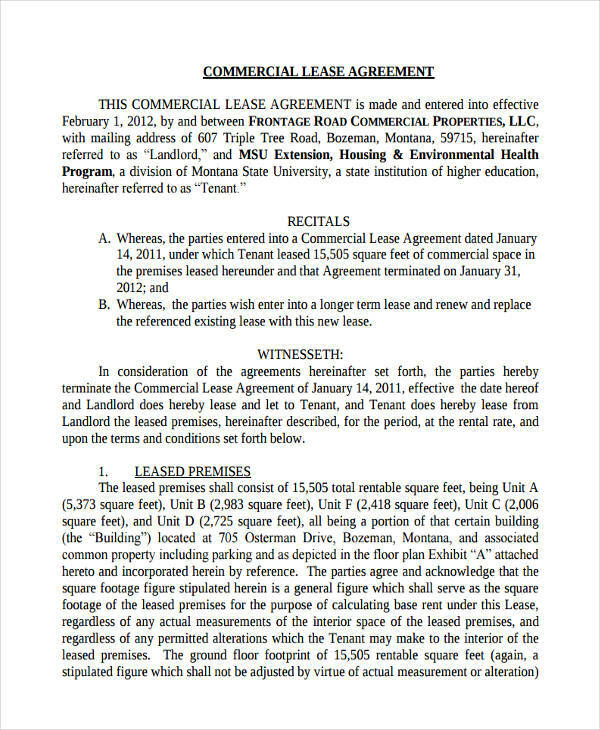 The free rental lease agreement shown on the page is an example of such an agreement. 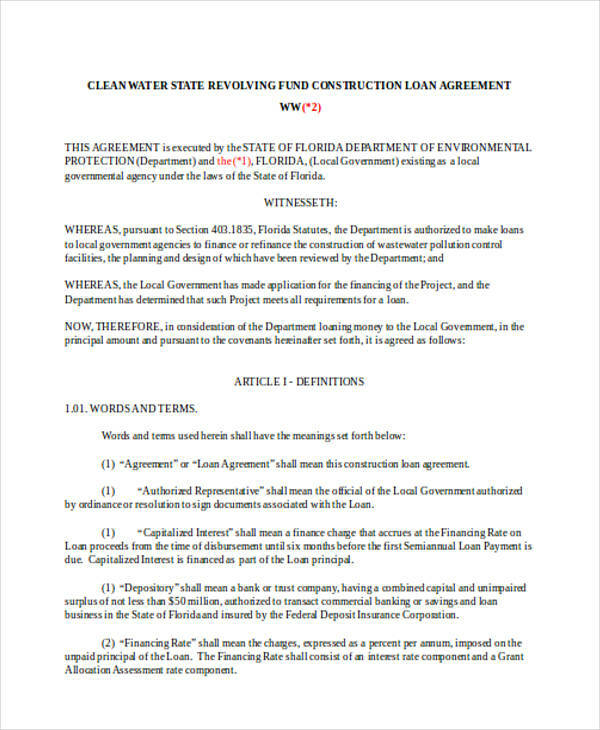 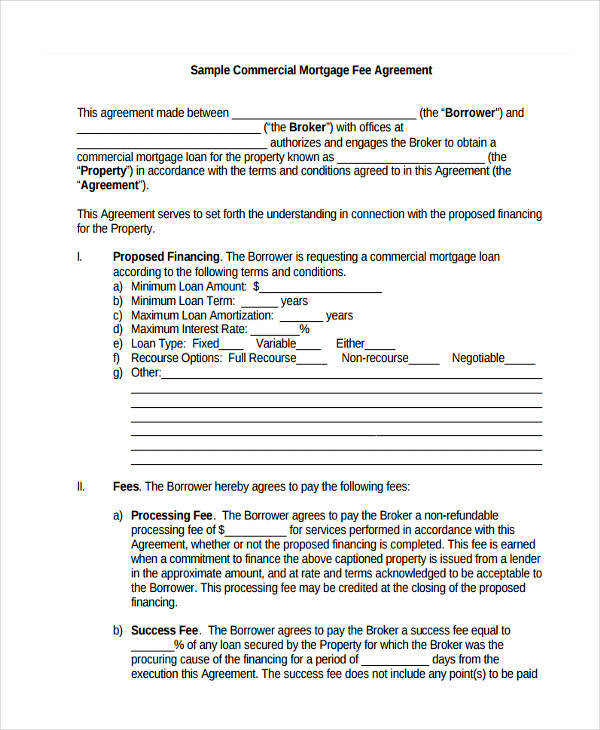 Finance and loan agreements – Contracts between a borrower and a financial institution as shown in the commercial security loan agreement on the page. 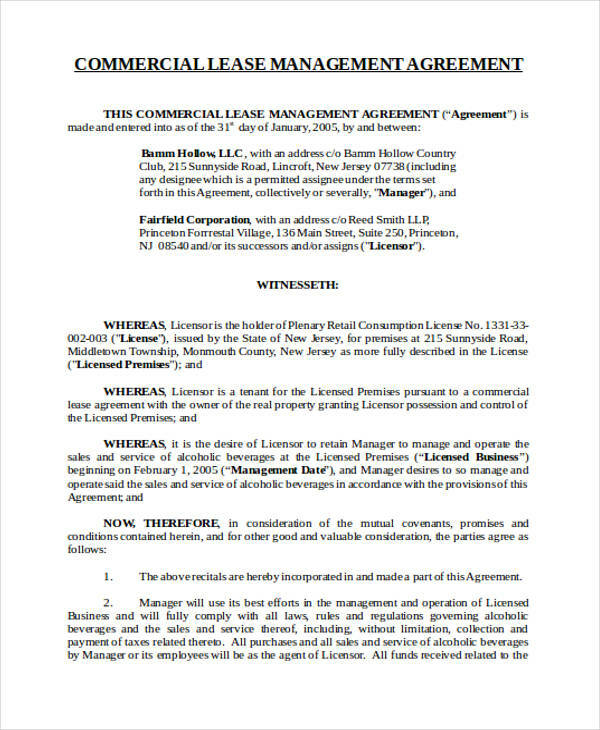 Licensing and franchising agreements – Agreement or contract involving the issuance of permits for the operation of a business. 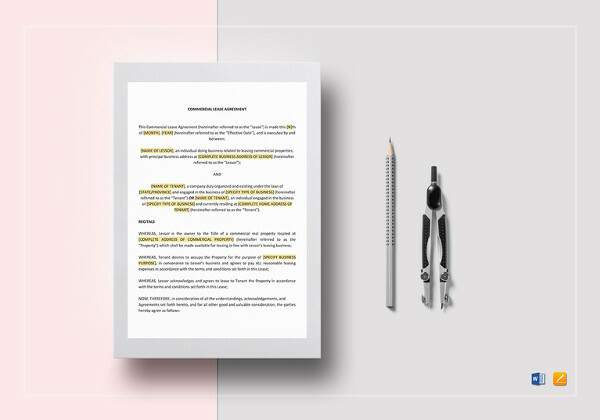 Employment contracts – This is the most common of the commercial agreements detailing the tasks involved in the performance of a job or function. 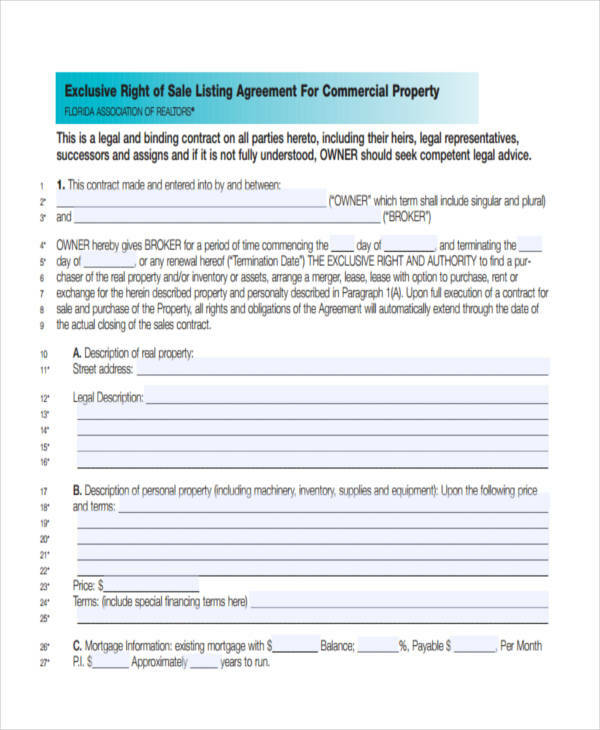 This is shown in the free commercial hire agreement and model agreement examples on the page. 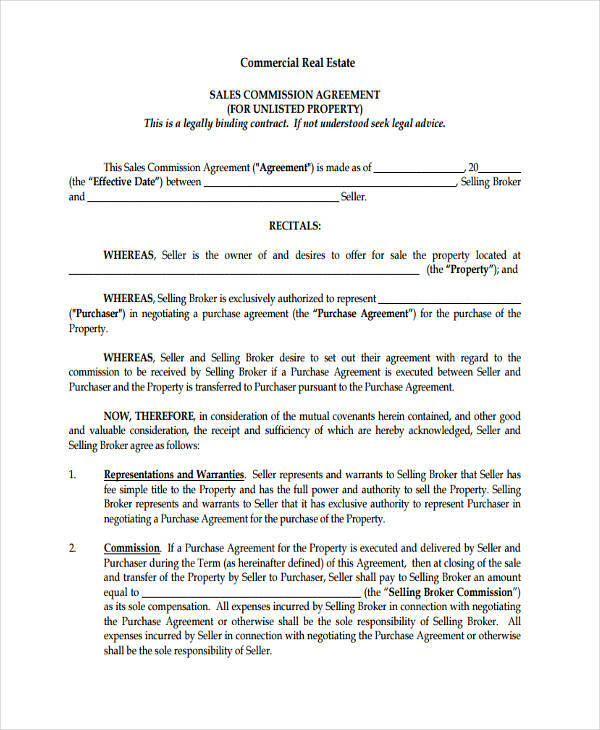 Agreement offer and acceptance – The terms of the agreement must be accepted by both parties – which includes what is being paid for, bought, sold, or delivered. 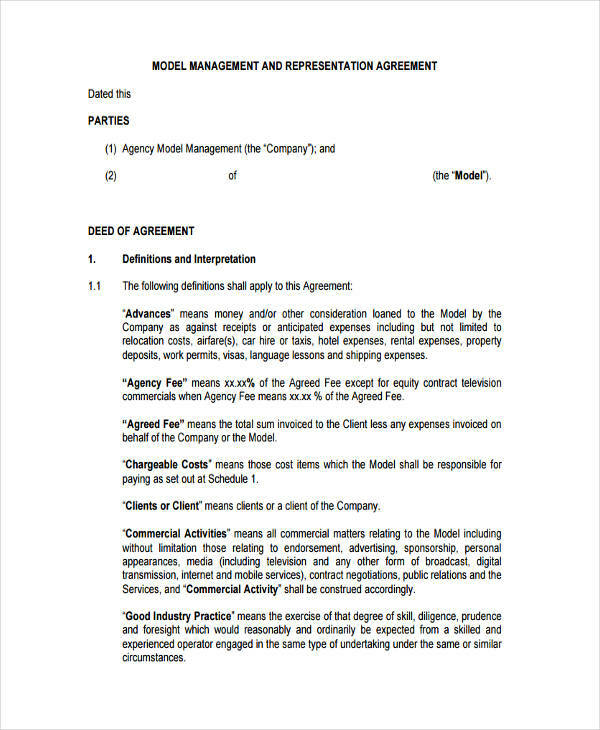 Management agreements, partnership agreements, and business agreements usually describe this element in detail in their contracts. 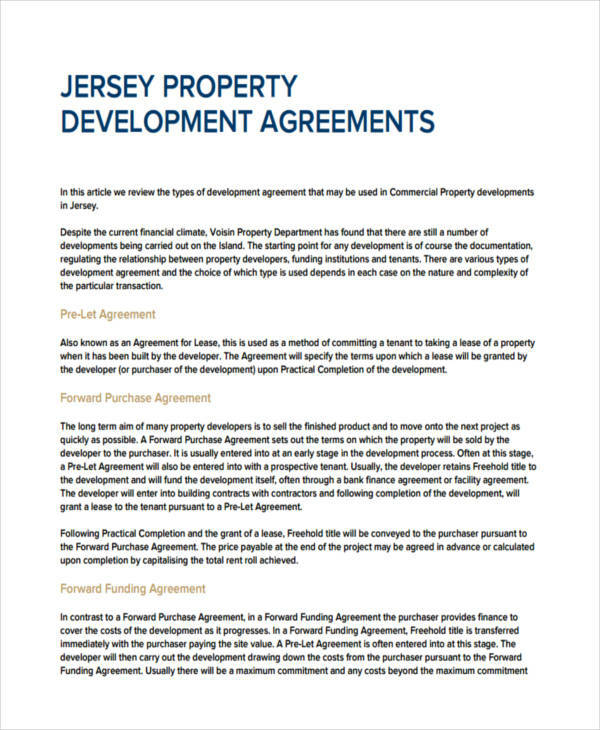 Consideration – Each party involved has to have a certain value exchange which otherwise differentiates the contract or agreement to a present or gift. 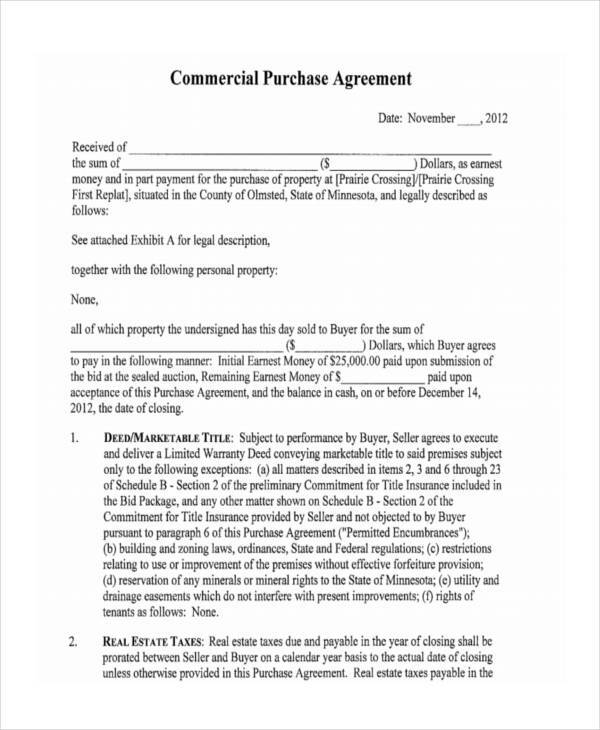 Intent of legal relations – Both parties involved must have the capability of entering into a legal contract. 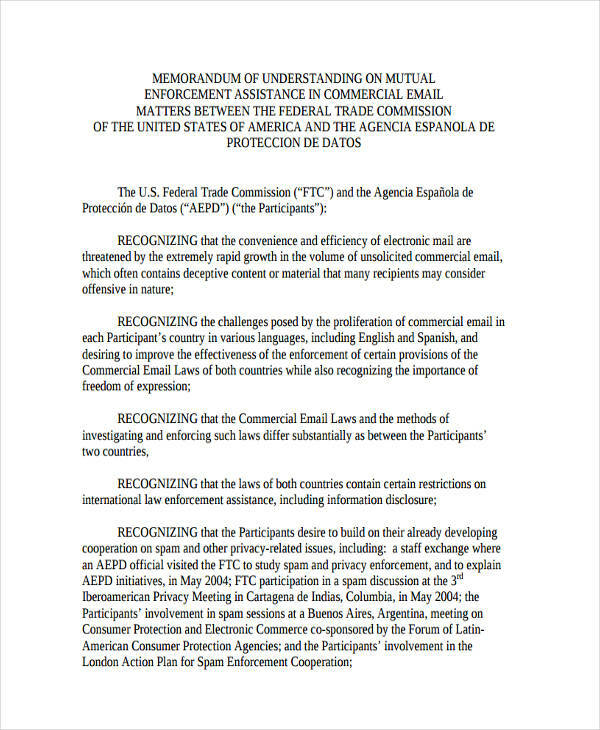 This means both understand exactly what they are entering to and understand the obligations involved. 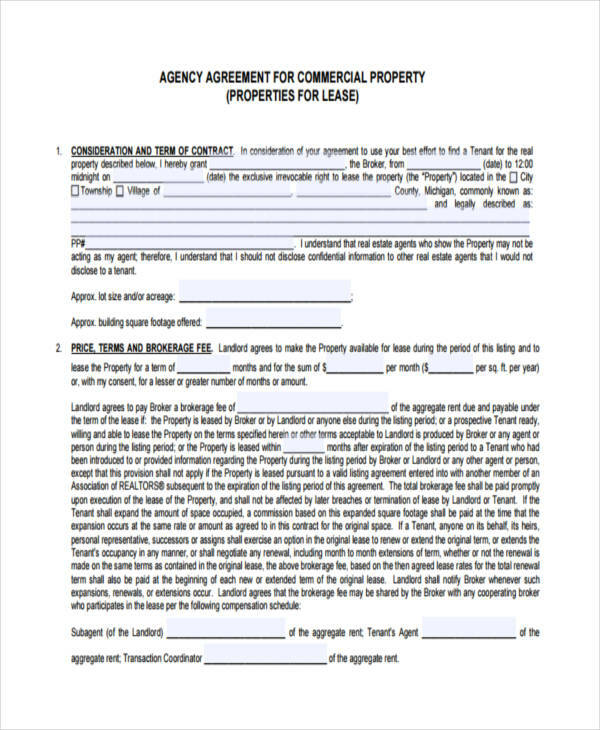 Willingness to enter – Each party must not be forced or misled into entering the agreement or contract otherwise the contract can be considered null and void. 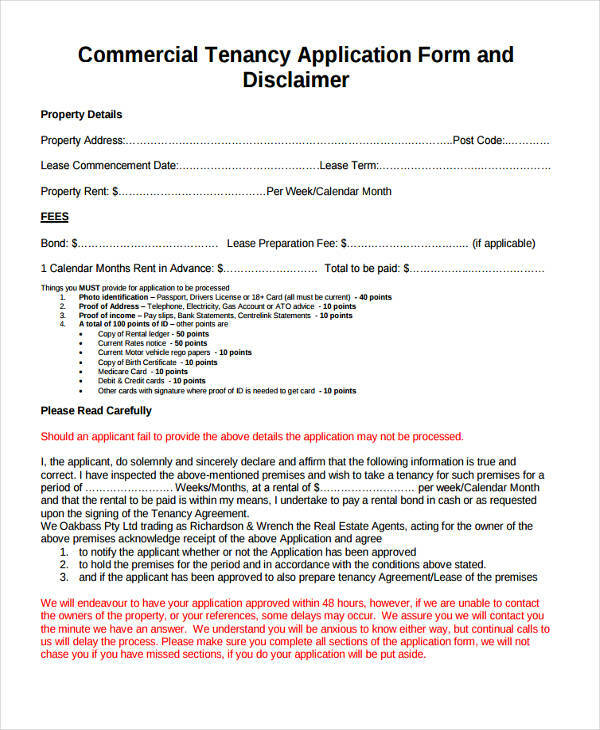 Check with your landlord if subleasing is permitted. 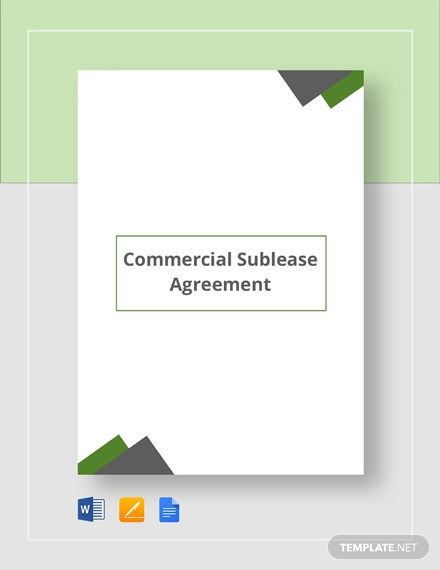 Negotiate the rent and include cost of utilities with the subletter. 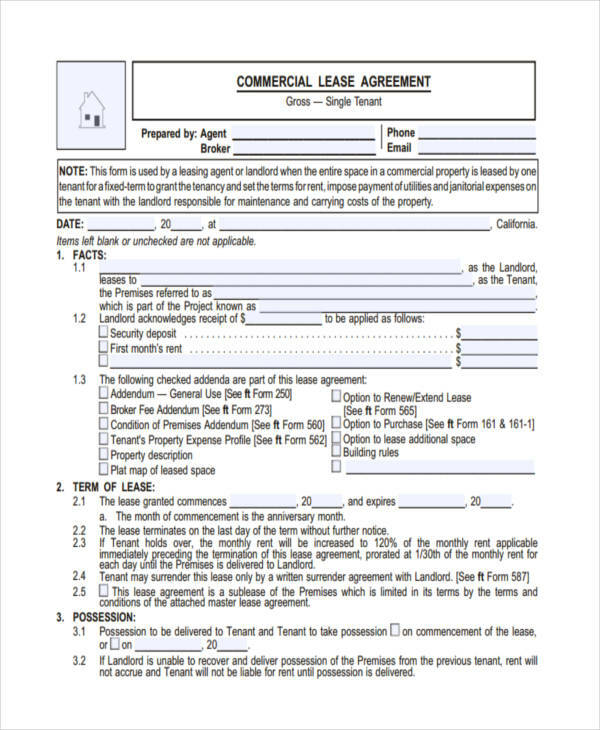 Do an inventory and take pictures of the area before the sublease starts and ends. 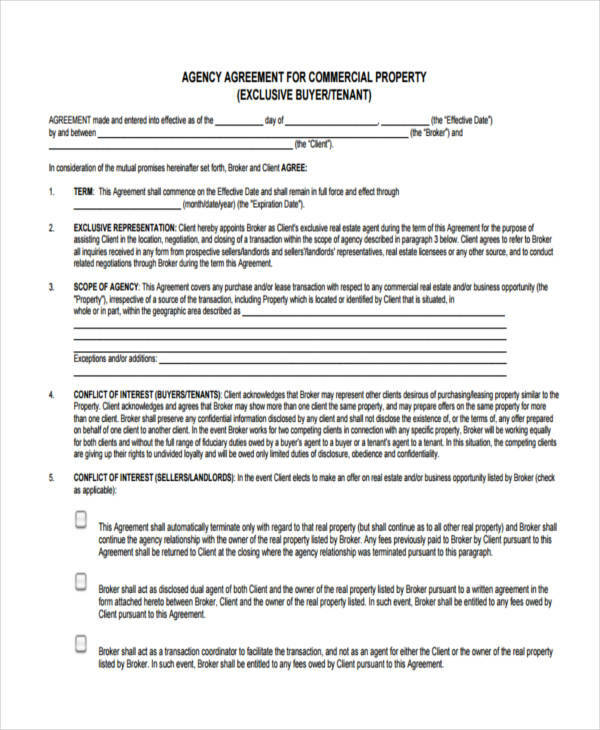 Inform subletter of any additional rules including quiet rules, overnight guests, or smoking and drinking in the premises. 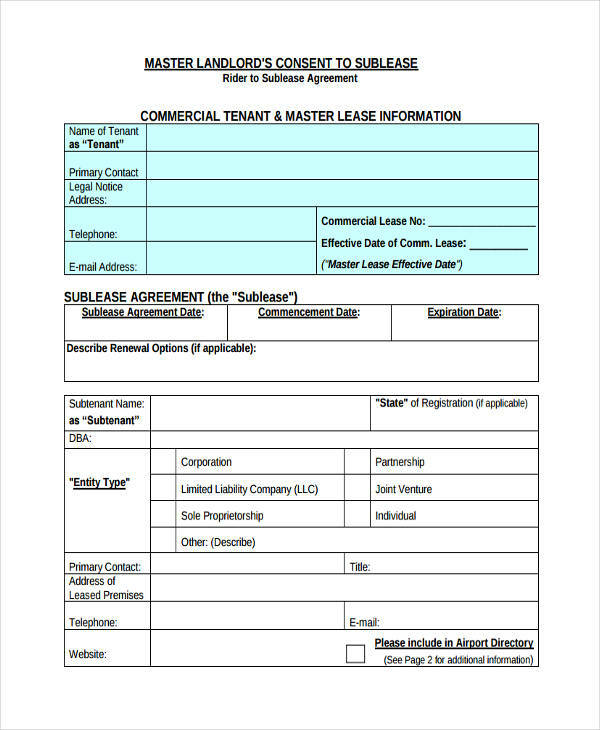 Complete and submit to your landlord a sublease application attached with the original lease. 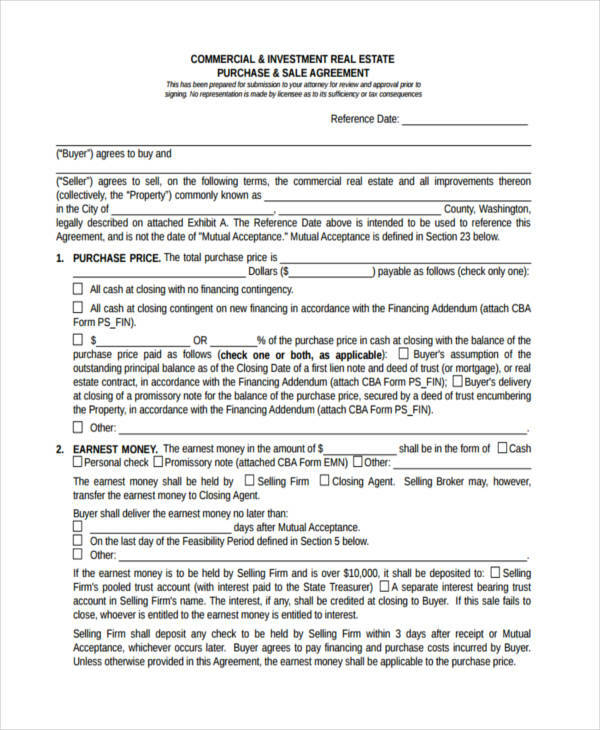 Keep it simple – Always keep to the basics in negotiating any agreement. 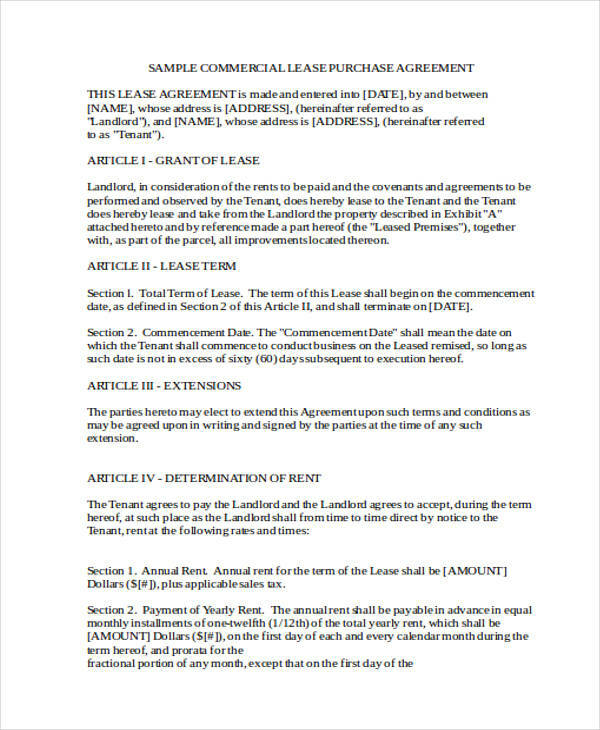 Do not put in too much complicated deal structures or stipulations that may otherwise confuse and dissuade the potential deal from coming to fruition. 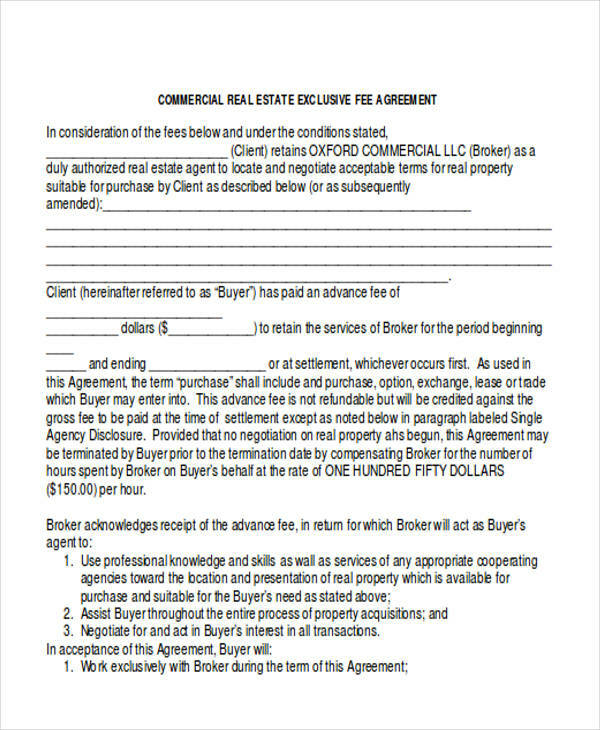 Mutual agreement – Make sure to have both parties agree with the main elements of the agreement before deciding to draft a written contract. 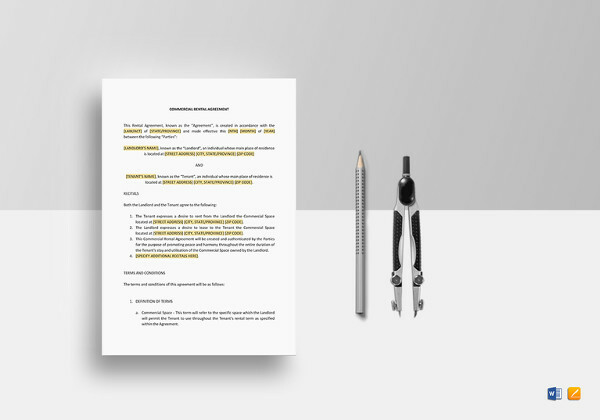 It is easier to go straight to the point of what is deliverable and the exclusions rather than doing lengthy propositions and terms. 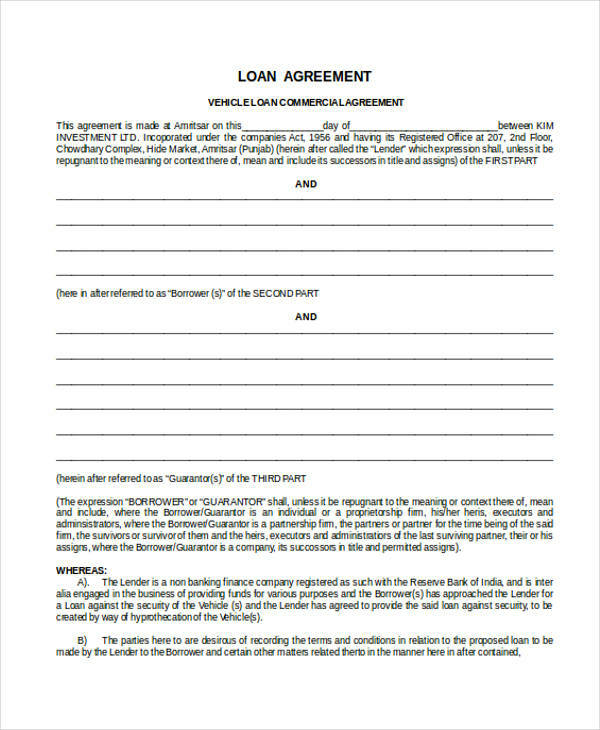 This would typically be quite useful in a loan agreement to properly identify the terms of the agreement. 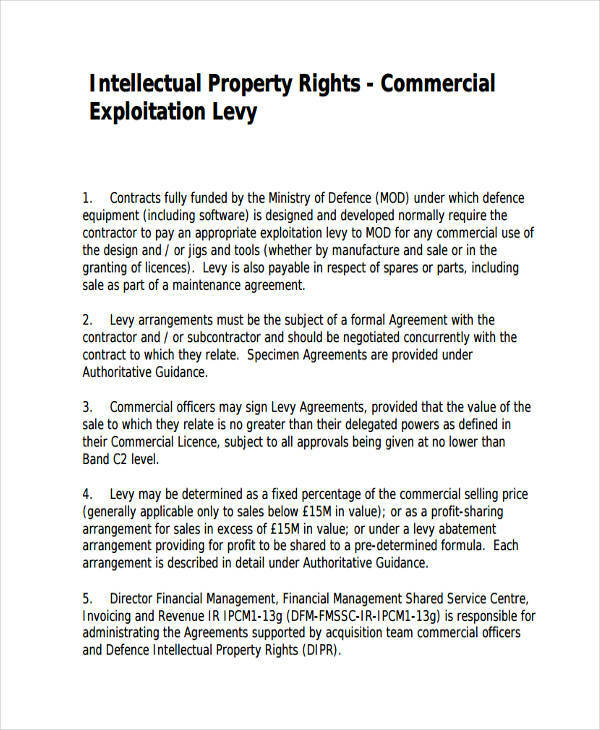 Involving lawyers – It is but logical to consult and have your lawyers assist you in drafting and negotiating any business contract. 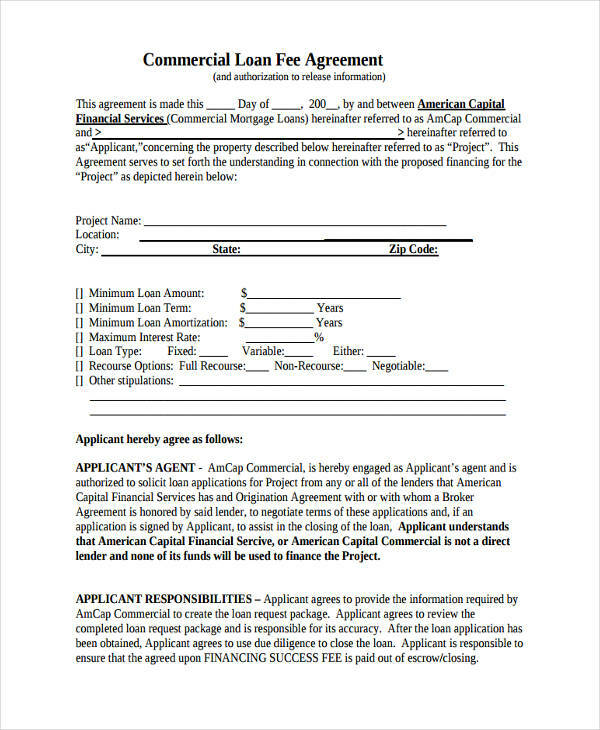 They have the skills and you have the means. 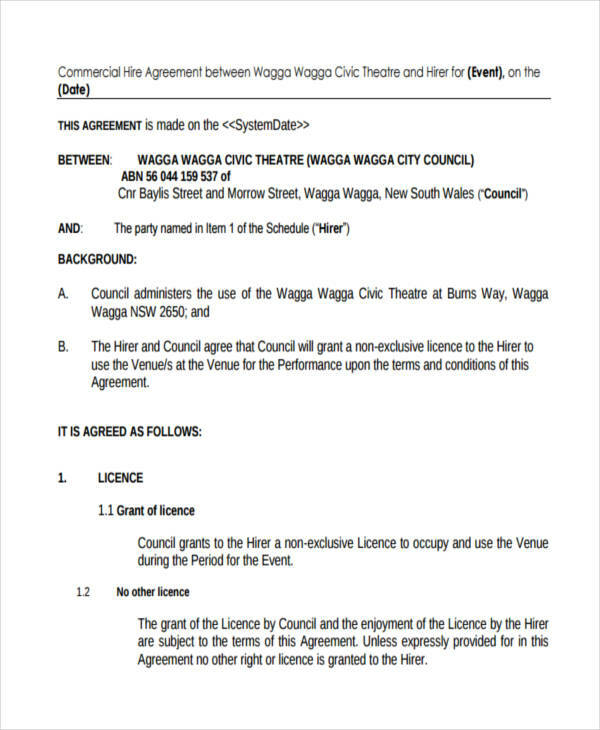 Management – Be sure to manage both your lawyers and your colleagues or any parties involved in the agreement. 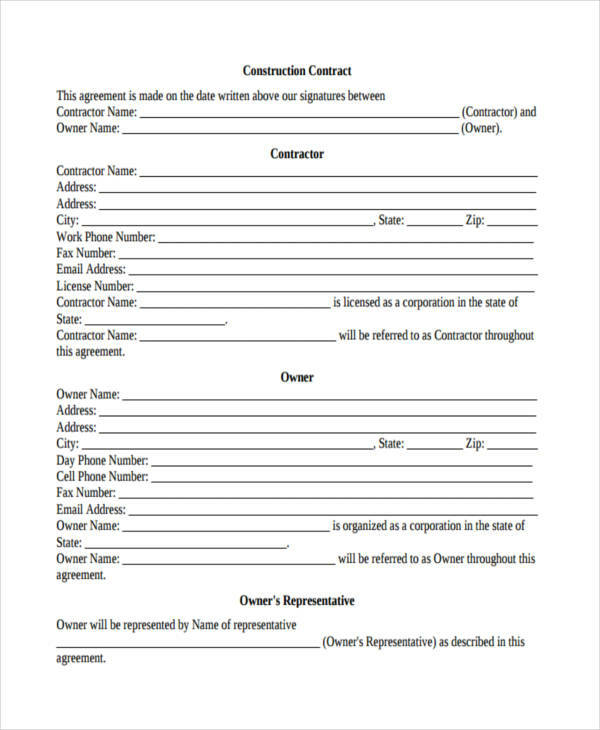 Setting up the right expectations make up for vague clauses or counter productive stipulations in the contract. 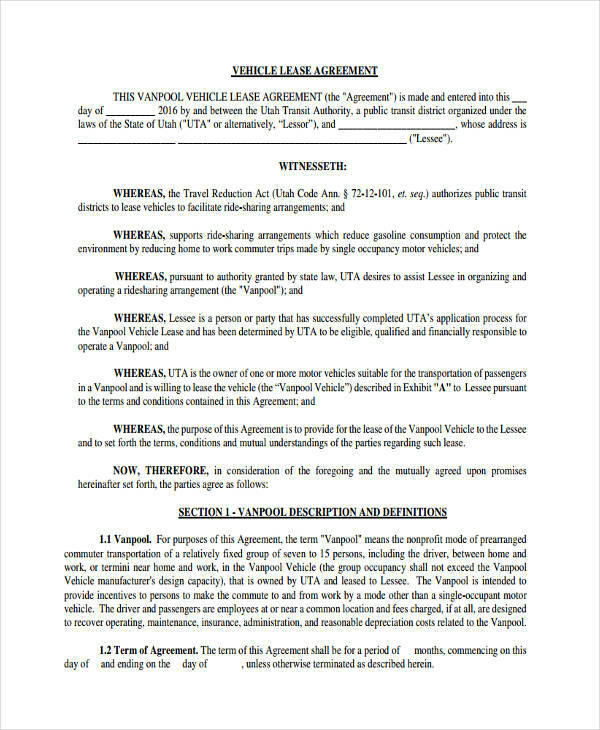 Time – The correct allocation of time in making the contract and holding separate meetings before any drafting of an agreement helps in cementing a clear understanding of what both parties are going into and leaves all questions of other stipulations on specific meetings which can then be incorporated to the final draft of an agreement.